I’m baaaack! Thanks for being patient with me and still following along. Let’s get started shall we? It is Tuesday and if you been reading for a while you know I always share some sorta tip. 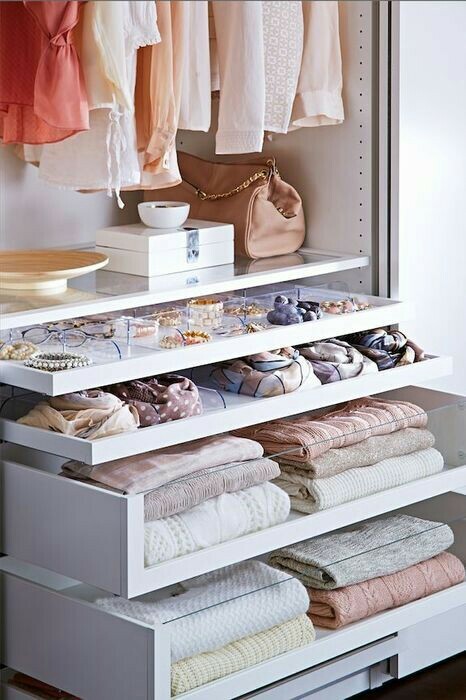 This one is about making life a little easier with correct storage. Out of Sight Out of Mind is what happens when you don’t see people….I mean, products, magazines and items around your home. 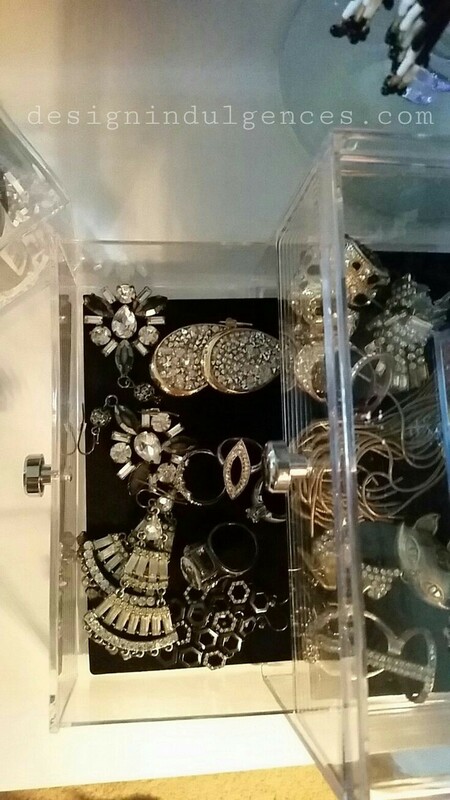 I like to decorate and organize with as many clear containers as possible especially when it comes to little items like makeup and jewelry. It’s way easier to locate and remember you have specific things when you can easily see it at a glance. 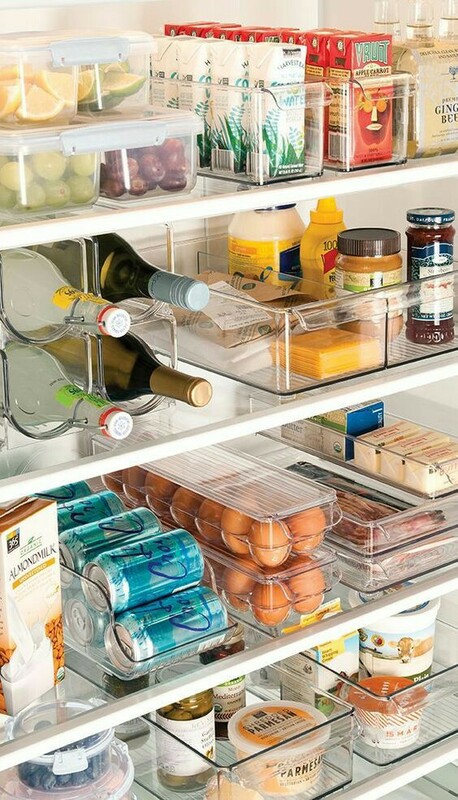 Containers in the refrigerator are great and something I need to do. When you put snacks and food in colored plastic containers, you are liable to forget about it because you can’t see it at a glance. I’m usually pretty good with throwing away food before it spoils however, there has been times where I have to toss things out. When I’m lazy, I will put food from work in a same plastic bag I used to transport it and end up forgetting about it after days of being in the fridge. I have wasted so much fresh salad by doing this. 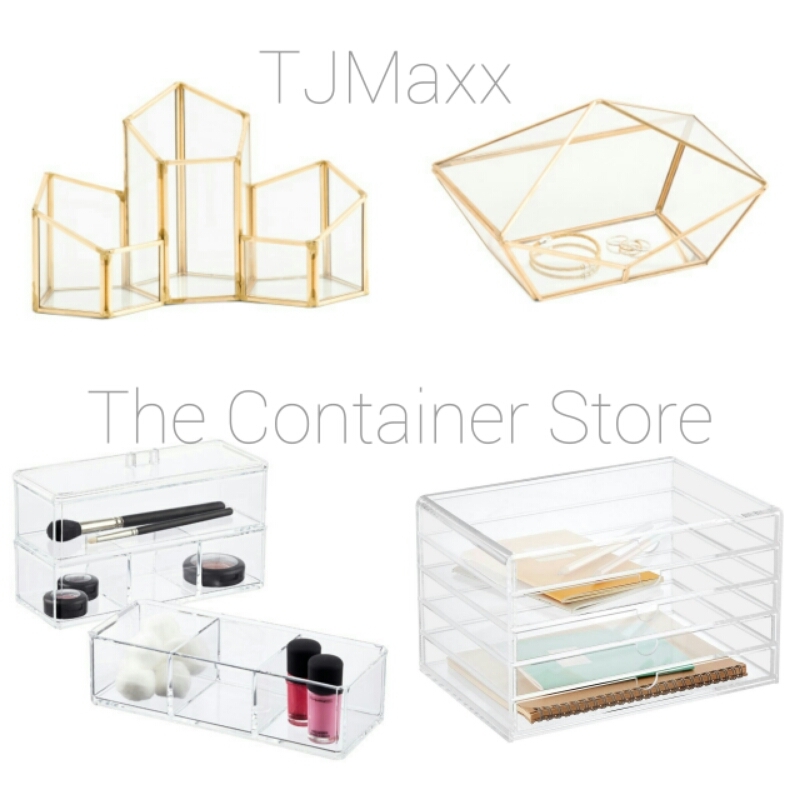 There are so many places where you can find nice acrylic container: The container store, TJMaxx, Homegoods, Target, ROSS dress for less, At Home and Marshalls to name a few. One thing you can do is repurpose an item for something different. Take for example the clear acrylic toothbrush holders in the bathroom section of Target. 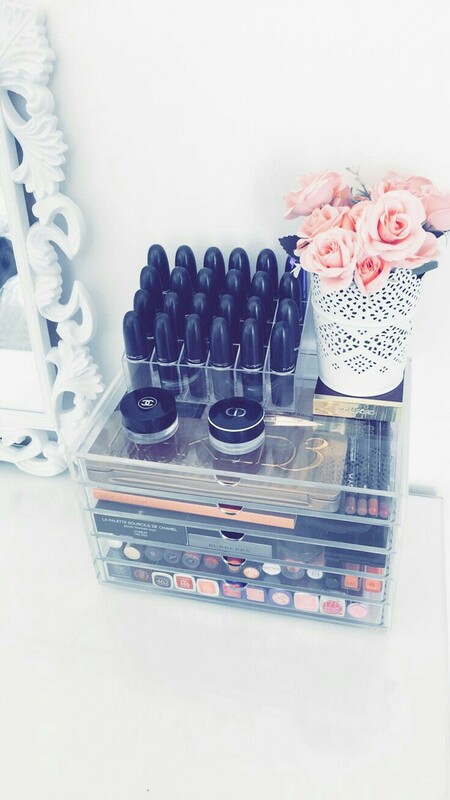 Those can easily be used to store pretty makeup brushes and eyeliners. I personally used one to store lipliners. 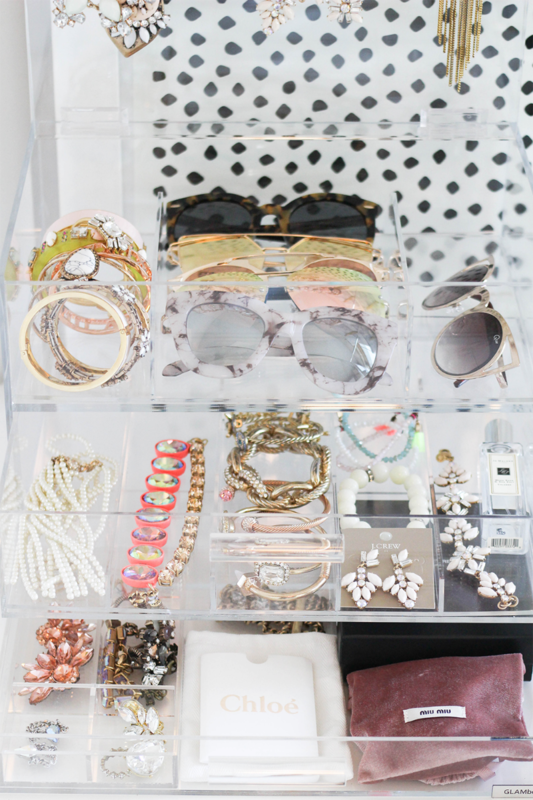 Some of the jewelry tiered drawer containers can work really well to store lipsticks. I recently used one that was only $6.99 from Ross for all of my lipsticks that I get from ULTA and it works so much more better than the container I previously used which is more suitable for nail polish. Because I can lay down the lipsticks, I can see at a glance which color I want. Before I had them stacked standing up and had to move them around too often and a lot of times I would knock them over causing a mess. It’s a small annoyance but in the morning time, each unforeseen occurrence, no matter how small, can make you run late. It just wasn’t functional so the tiered drawers work so much better now. I put my most used polishes on the other container. Acrylic drawer fronts allows you to see each layer within the drawer so you avoid digging all around. I also like The Container Store’s letter sorter as way to store eye shadow makeup palettes. You can also use them to place thank you cards for clients. There is nothing quite like a handwritten note. No, everyone doesn’t appreciate them or the things that you may have taken the time to write down, however, there are some who are old school enough to really cherish that lost art. We live in an age where everything is so instant and informal. Text messages are the preferred way to go for communicating but certain occasions should really call for a bit more thought. If you send notes to clients, and have a variety of different cards, or even if you’re that person that has greeting cards already on hand (so you don’t have to stop at a convenience store last minute), a tiered letter holder will work nicely. 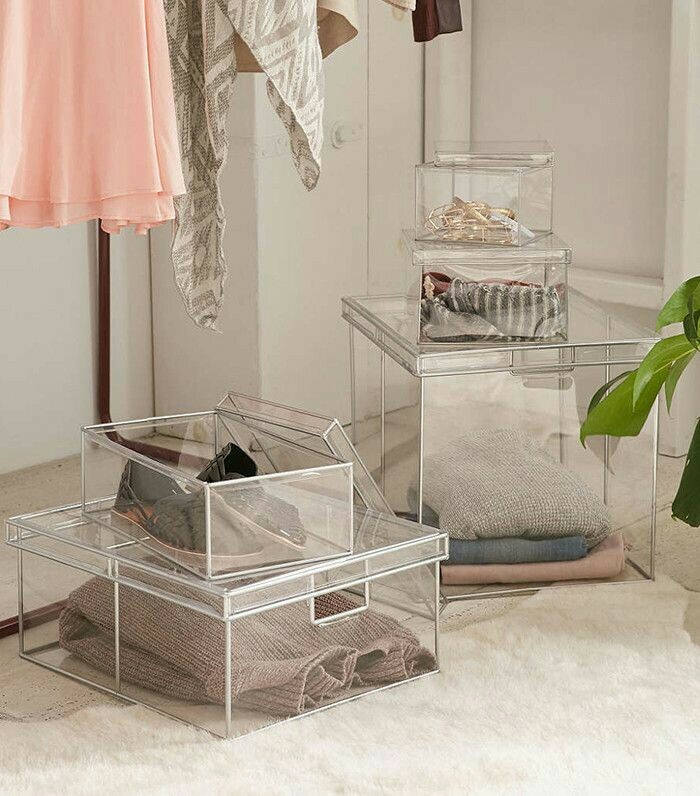 The clear boxes above from Urban Outfitters are great ways to put away out of season items and keep dust off shoes. You can still see exactly where the items are so you don’t have to waste time opening the wrong boxes when looking for something. The lazy susan from The Container Store can be used for a myriad of things. Be sure to check out my post on how I organized in the past. Right now I’m trying to streamline the look as I am sick of seeing everything in the open. If the acrylic look isn’t your forte, you can always use wire and mesh items as well. Happy organizing!